Travel trips end all too soon. Fortunately, they provide a treasure trove of memories that can last for a lifetime. Here are a few of the indelible experiences that enriched our lives in 2018. The fact that the two-person airplane had no sides proved far less distressing than I would have guessed. Securely strapped to my seat, I was in no danger of being blown out of the plane. 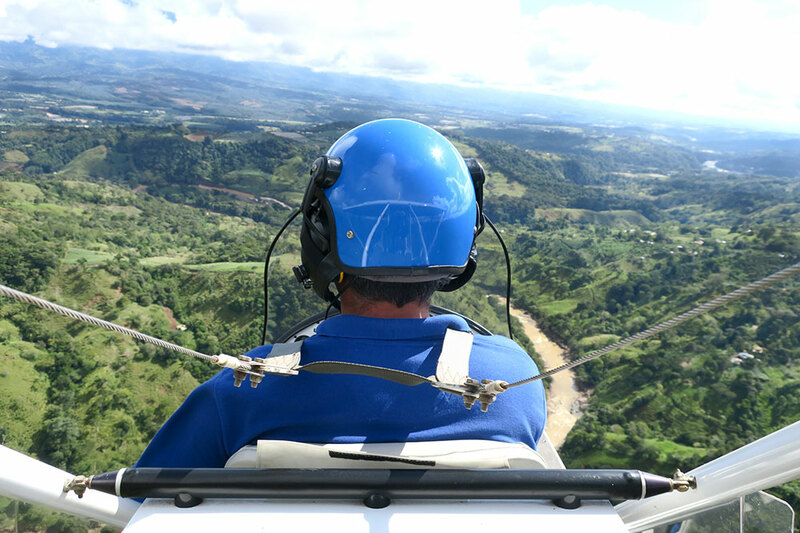 We took off from the Hacienda AltaGracia’s grassy runway early in the morning, when a few clouds were just starting to gather along a distant ridge. Below unfolded an exquisite patchwork of deep-green jungle, fluffy sugar cane fields and pineapple plantations. We approached the cotton-ball clouds, entering one as we banked. Suddenly, the soft white surrounding us gave way to brilliant emerald mountains abutting a shimmering azure sea. Here and there, towering waterfalls erupted out of the jungle. It was a sight that seemed to provide one possible image of heaven. 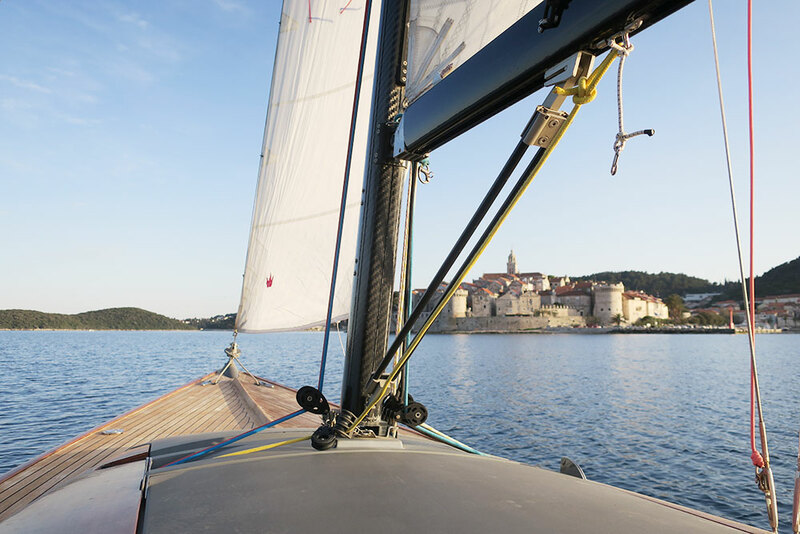 Our last evening on the island of Korčula, we splurged on a private sunset cruise in the wooden sailboat belonging to Lešić Dimitri Palace. The gentle Adriatic breeze was just enough to push us along the scenic Pelješac channel. Our skipper, Damir, served glasses of Grgić Pošip (a local white) and snacks of local cheese and charcuterie while we cruised the Korčula archipelago. He pointed out an old island monastery with a single remaining inhabitant and a private islet where, apparently, the wealthy 80-something owner remains naked for the entire summer. Just in time for the sunset, we circled the perimeter of the old town, where people on the restaurant terraces raised their glasses as we glided past. It was difficult to imagine wanting to be anywhere else. After visiting the ruins of several mud-walled kasbahs in Skoura, our guide from Dar Ahlam took us into a rocky Martian desert, home to shallow caves used in season by nomadic herders. We continued down a nameless track, until suddenly a river gorge appeared. 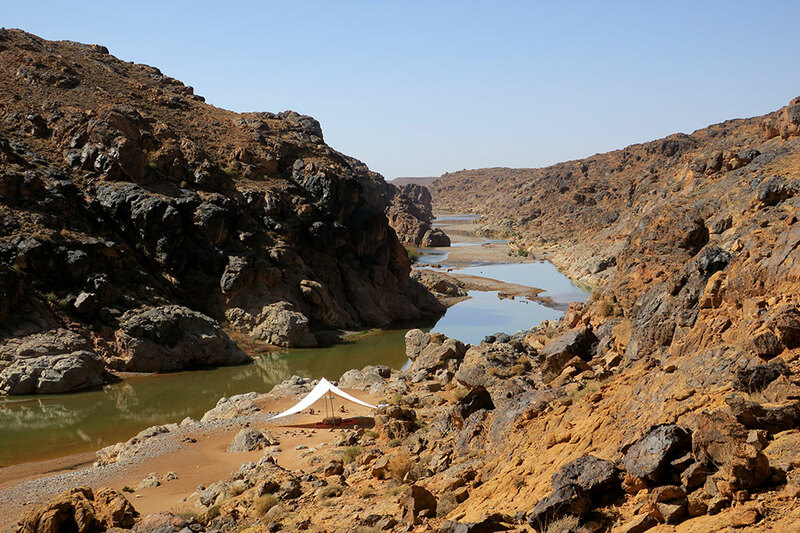 A short distance away stood an open tent, pitched beside some small rapids. There an attendant provided soap and water from a ewer to wash our hands, before we settled into some embroidered cushions beside the table. The picnic was sublime. In the cool shade of the tent, we sipped our choice of wines while two waiters served a multicourse lunch from an improbably well-stocked kitchen hidden behind the boulders. We feasted on artichoke barigoule with fennel and coriander seed, medium-rare beef brochettes, mixed vegetables in a saffron broth, and orange-spiked crème caramel. As we ate, the only sound we could hear was the gentle splashing of the river against the rocks. Garganta do Diabo, the Devil’s Throat, is the largest of the 275 cascades that make up the Iguazú Falls, which form a border between Argentina and Brazil. 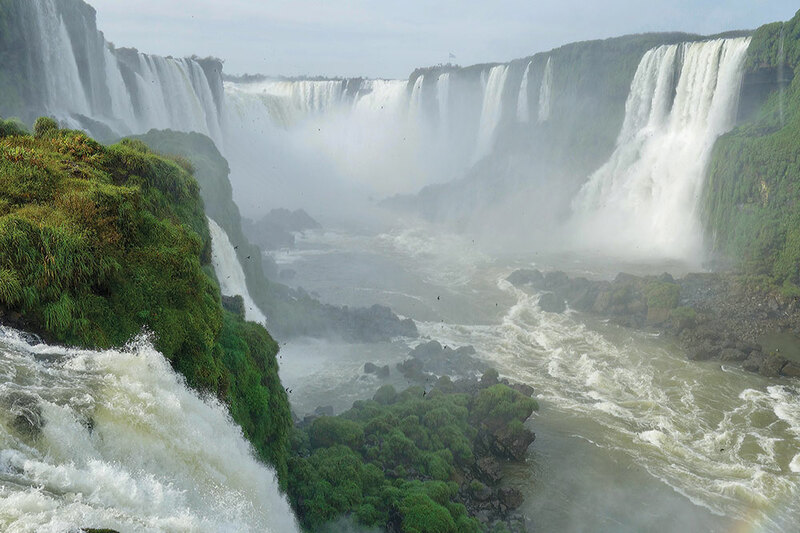 Here, around half of the Iguazú River’s entire flow collapses off a basalt edge before being transformed, 270 feet below, into a maelstrom of water and spray. Shortly after dawn, long before the arrival of the crowds, we walked up the forested riverside path on the Brazilian side of the falls, coming eventually to a metal walkway that zigzagged across the river to an elevated viewing deck. We had come equipped with waterproof ponchos, but before long we were drenched. Leaning on the rail, trying to resist the onset of vertigo, we peered down into the abyss. There hundreds of great dusky swifts, intrepid birds that live behind the protective curtain of the falls, could be seen heedlessly flirting with oblivion. The stupendous panorama of the Devil’s Throat was unimpeded. For close to an hour, we stood transfixed by the astonishing grandeur of the scene. Peering into the kitchen through a window with no glass, we saw cobweb-covered dishes, a stove with a faded floral-print cloth draped over its handle and four rush-bottomed wooden chairs surrounding a table with a dusty red Formica top. This intimate tableau of one family’s arrested life made it seem as if the owners might still return one day. But then I noticed the year on the calendar on the kitchen wall below a small wooden crucifix: 1980. 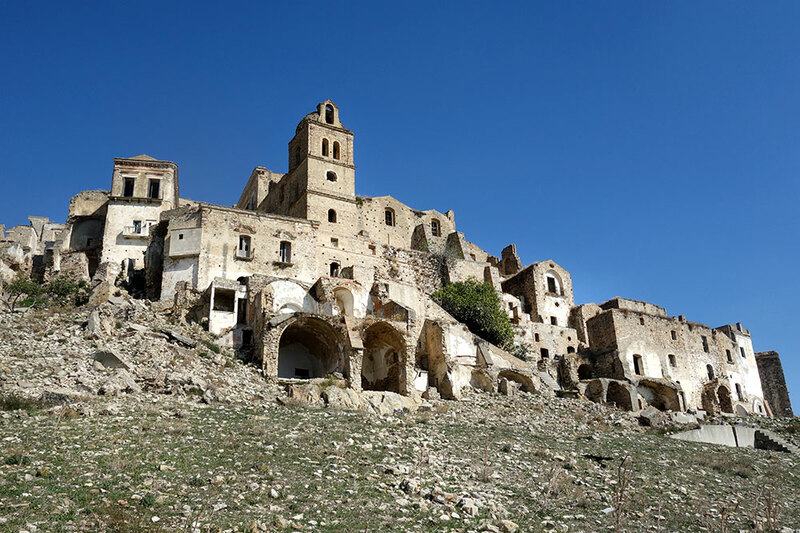 This was the year that a major earthquake doomed the ancient hilltop village of Craco in the southern Italian province of Basilicata. It was founded in the eighth century B.C. by Greeks who prized its strategic location and thrived during the Middle Ages, when a fortified watchtower and even a university were built here. At the end of the 19th century, much of Basilicata’s population emigrated to America, but Craco carried on until a catastrophic landslide in 1963. The Italian government decided Craco should be evacuated and built a new town on flat land below the village. However, many residents resisted the move until the earthquake made a final evacuation mandatory. Today the ghost village is often used as a film set. Strikingly beautiful when seen from afar, it is a crumbling and poignant place when viewed up close. 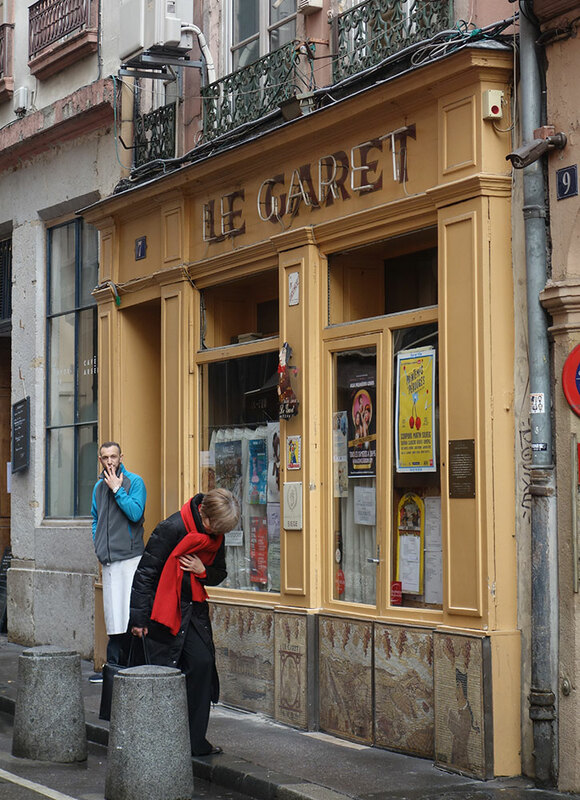 More than the fancy places with Michelin stars, I yearn to go back to Le Garet, a little bouchon (bistro) on a quiet side street in Lyon. A small bric-a-brac-filled spot, it is hugely popular with locals, and meals here are an infallible pleasure. This year I enjoyed a lunch of salade Lyonnaise (curly endive with croutons, chunks of bacon and a coddled egg), followed by quenelles de brochet (fluffy pike perch dumplings in a pale pink crayfish sauce), and cervelle de canut (a fresh creamy cheese seasoned with shallots, garlic, herbs and olive oil), and finally a scoop of black-currant sorbet fortified by a generous shot of Marc de Bourgogne. Be advised, however, that eating at Le Garet is as much about conviviality as it is the food, which means a lot of chatting between tables, as well as much laughter and noise, the great Gallic soundtrack of French people thoroughly enjoying their food. 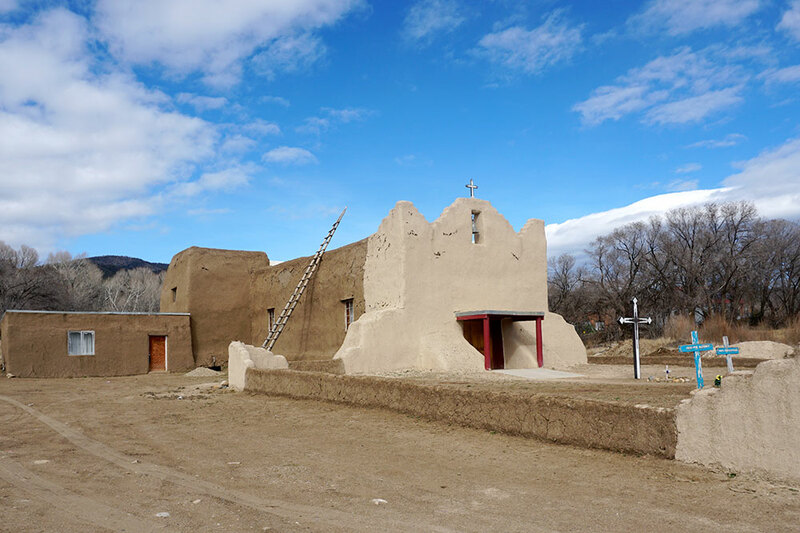 Picuris Pueblo, a modest settlement outside Taos, has remained virtually untouched by modern civilization: The roads are dirt, the adobe homes are crumbling, and the trails are unmarked. As we walked up to the central plaza, a man with weathered skin and long gray hair braided down his back headed our way. He insisted on taking us around personally. Picking up large chunks of obsidian, he laughed about the steep prices people pay for a rock that is so common in his community. He also shared childhood memories of making bread with his mother, tending to bison on the family’s land and farming beans and corn with his father. 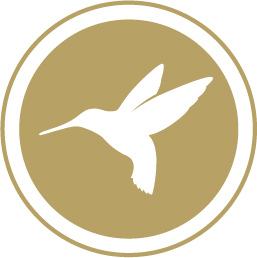 He exuded passion as he explained the pueblo’s artistic traditions as well as its growing economic self-sufficiency thanks to a majority stake in the Hotel Santa Fe. When we later checked into the hotel, we were told that he was the pueblo’s only medicine man and its chief elder.